It's hard to believe that just a few short years ago, most Americans had no idea what an app was. And while Apple certainly did not invent apps or a marketplace to purchase them from, the popularity of the Apple iPhone did give developers the incentive to write apps for iOS. Apple's marketing team did the rest ("there's an app for that") and now the American people know what an app is. In the U.S., mobile app use is growing quickly. Over the last three years from December 2010 to December 2012, the average American spent 70 minutes a day surfing the internet on a desktop PC. That is actually unchanged over the three years. Television viewing has risen to an average 168 minutes this year from 162 minutes in 2010. But the big gain has come from mobile app usage. Americans are spending an average of 127 minutes a day using mobile apps, nearly double the 66 minutes spent daily in December 2010. This means that Americans would now rather use a mobile app than surf on a desktop PC. 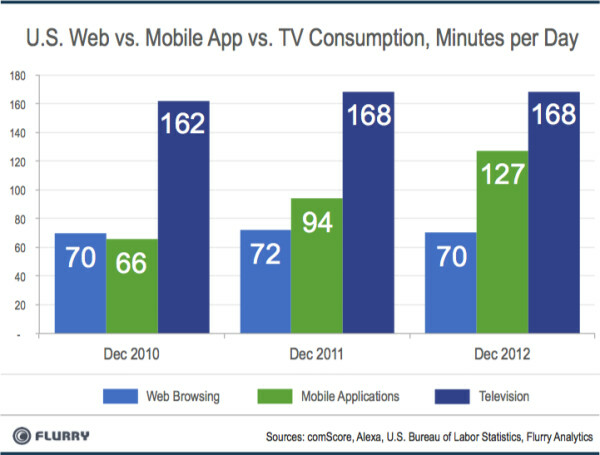 And by this time next year, using mobile apps might overtake watching television during an American's average day. Flurry CEO Simon Khalaf can't avoid the inevitable, "We ultimately expect apps on tablets and smartphones to challenge broadcast television as the dominant channel for media consumption," said the executive. 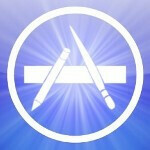 So what apps are being used globally by iOS and Android owners? 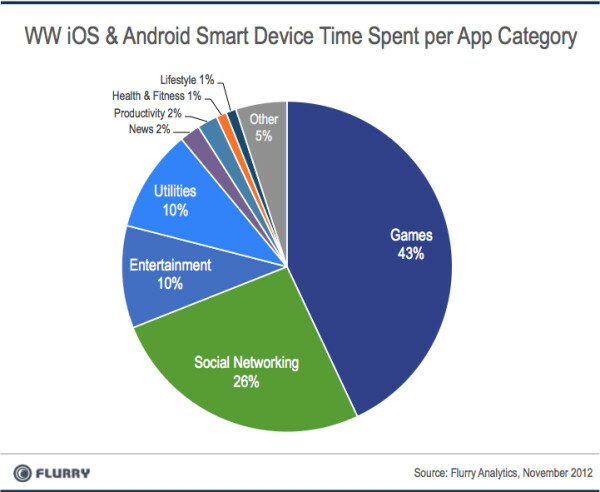 Last year, 50% of the minutes that were spent world-wide using mobile apps for the two dominant platforms, was for playing games. With better apps and more of a selection available, that figure is now down to 43%. Social networking now makes up 26% of the minutes spent with entertainment and utilities each garnering 10% of the pie. 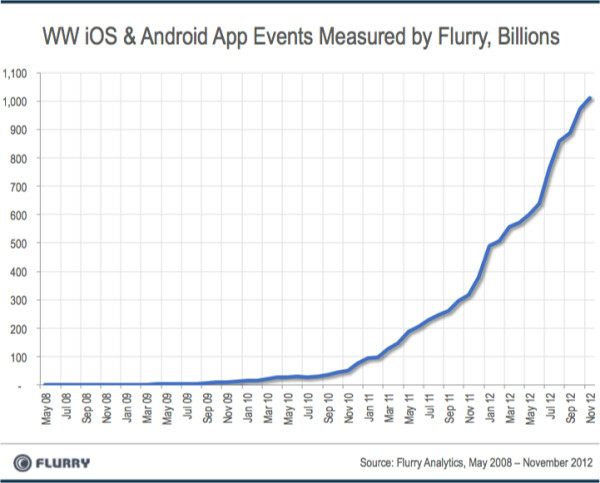 Flurry last month measured over a trillion events from over 250,000 applications created by more than 85,000 developers. Let's let them explain exactly the definition of an event. "Events are actions completed by consumers inside apps such as completing a game level, making a restaurant reservation or tagging a song. In November, we also measured over 60 billion sessions, which is the start and a stop of an application on a mobile smart device." If you want to see how the mobile app phenomenon has taken off, look at the chart below measuring the growth in global iOS and Android app events as measured by Flurry. You don't even need to look at the actual numbers, just look at the trend. I think we need a phoned arena app....that'd by cool !!! True, surely will.....™®© Alan. F what about PhoneArena App? Get Flipboard and you can customize it. I wonder if android free movies still exist? I rarely use an app to watch TV - I just go on the website of choice - series-cravings is great for catching up on series and it screws up companies trying to get you to buy their services when you can watch stuff for free.